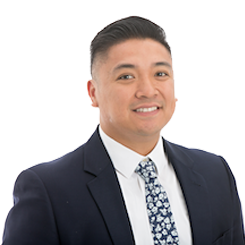 Mr. Reyes joined Arel Capital in 2016 as Assistant Controller. He is responsible for the preparation of the monthly financial statements of the Arel investment vehicles and investor allocations. He also maintains the firm’s internal accounting records. Prior to joining Arel Capital, from 2014 to 2016, Mr. Reyes was a Senior Accountant at Citco Fund Services in their hedge fund administration practice. From 2012 to 2014, Mr. Reyes was an Operations Associate at Gottex Fund Management. From 2010 to 2012, Mr. Reyes was a Senior Fund Accountant at SS&C Fund Services. From 2007 to 2010, Mr. Reyes served as a Senior Associate at Rothstein Kass & Company in their financial services audit practice. Mr. Reyes began his career at BISYS Fund Services. Mr. Reyes holds a Bachelor of Science in Accounting from Rutgers University. The information contained in this website is for general information purposes only. While Arel Capital LP and its affiliates (“Arel”) endeavors to keep the information up-to-date and correct, we make no representations or warranties of any kind, expressed or implied, about the completeness, accuracy, or reliability of any information contained herein. Any reliance you place on such information is therefore strictly at your own risk. Please seek the advice of professionals as necessary regarding the evaluation of any content in this website and do not rely on the information provided herein. Unless otherwise indicated, the rates of returns presented in this website are not realized rate of returns. These rates of returns are computed based on (i) actual contributions and distributions to date and (ii) estimates of property market value(s) based on Arel’s internal analysis. There is no guarantee whatsoever that any rate of return presented in this website will accurately reflect the realized rate of return ultimately earned through an investment. The property values presented in this website were determined solely by Arel, without any independent third-party appraisals and there is no guarantee whatsoever that any market value presented in this website will be actually realized upon a sale of the property. No consideration has been given to the impact of taxes upon the sale of a property. The information in this website is not intended as an offer or solicitation for the purchase of any stock, any other security or any financial instrument or to provide any investment service or investment advice in any jurisdiction. This communication and the material contained herein are confidential and may not be distributed in whole or in part to anyone other than the intended recipients. For any questions related to this website, please contact support@arelcapital.com.